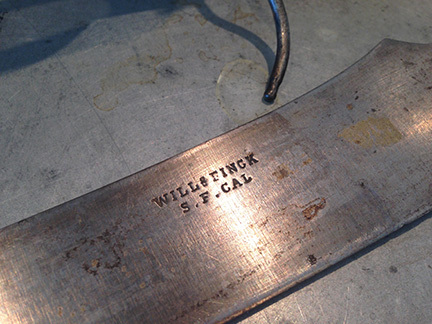 The other day, for some random reason, I decided to search a non-ebay website for Will & Finck. Doubtful that a corkscrew would suddenly present itself, I figured why not see what might be available. 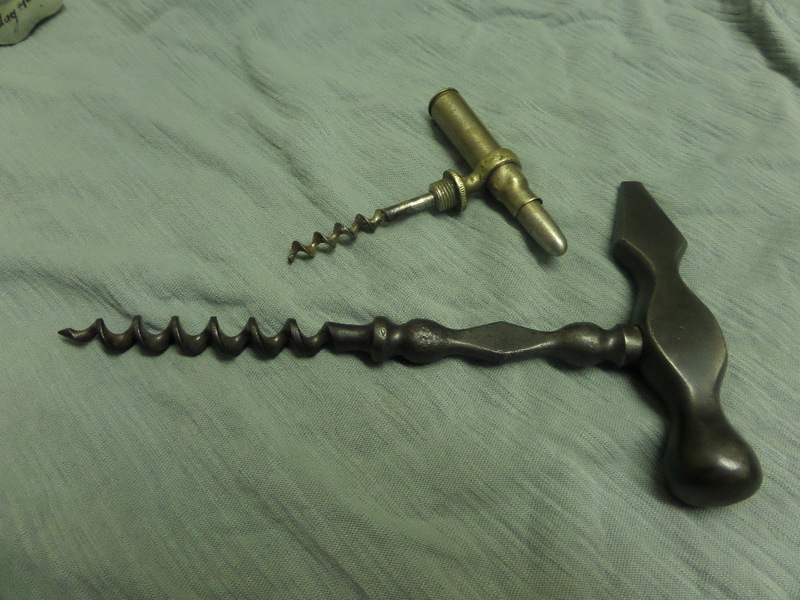 And, unfortunately, a Will & Finck corkscrew did not present itself. 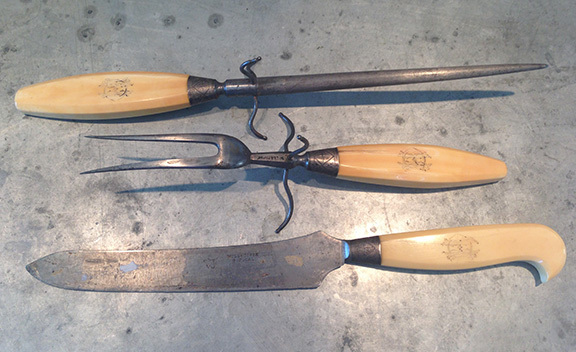 What did turn up amongst a few listings was a fabulous Will & Finck carving set with ivory handles. And, for a whopping asking price of 40 dollars. The blade looks to be in nice shape, it was well marked, and each piece carries the same (albeit faded) monogram. At 40 bucks, I figured I would flip it another collector that might want a nice carving set. And, this morning it arrived. After unpacking the knife, fork, and steel, it is in fantastic shape with the blade looking like it has never been resharpened. No real metal loss, and at almost 15 inches long, it is a pretty fantastic set. The lovely CEO (Chief Exercise Officer) looked at them and we agreed, we will clean up the blade, and keep them for the collection (and to use on occasion). On the corkscrew front, I did manage to outbid Petey on a pair of steel legs last night. 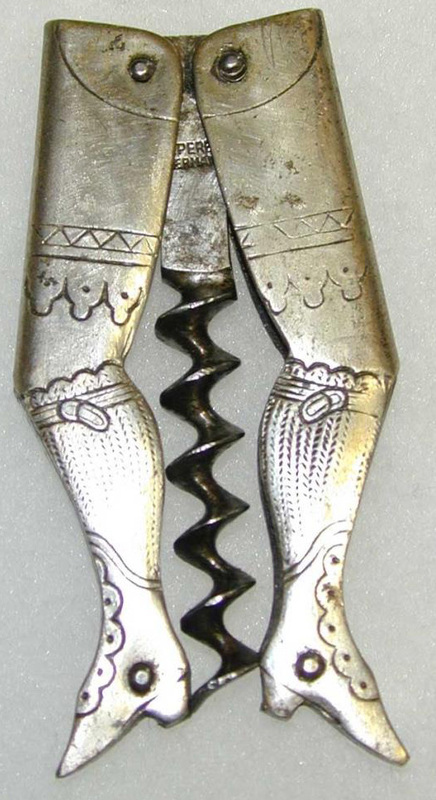 It is a very nice pair, and will definitely make a nice addition to the (small) leg corkscrew collection. 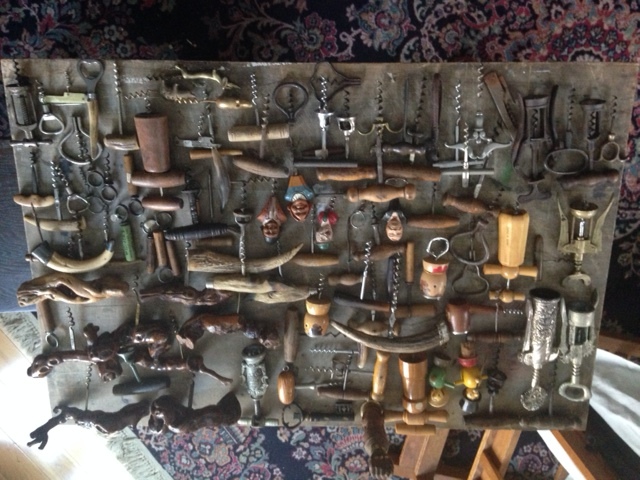 Bob Gilbride emailed yesterday with pictures of the Anton Trunk patent corkscrew, that is in his collection. This isn’t being made available, he was just sharing. Anyway, his Trunk is incised with the the message I AM THROUGH YOU ARE NEXT. And, in our exchange, he asked what I thought it might mean. 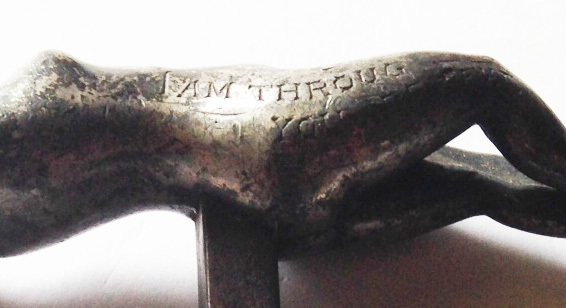 What could it mean, given the fact that it is a corkscrew, a naked woman corkscrew at that, and from 1886 (or thereabouts, as Trunk was awarded his patent in 1886). In considering the message, I am thinking “I AM THROUGH.” refers to the fact that the corkscrew has removed the cork. Whether it is because she made it through the cork, or whether her job is done, so she is through, it still works. “YOU ARE NEXT” might mean that it is your turn to get through the contents of the bottle. But, it would be interesting to see what you all think. What do you think the saying, “I AM THROUGH YOU ARE NEXT.” would mean. 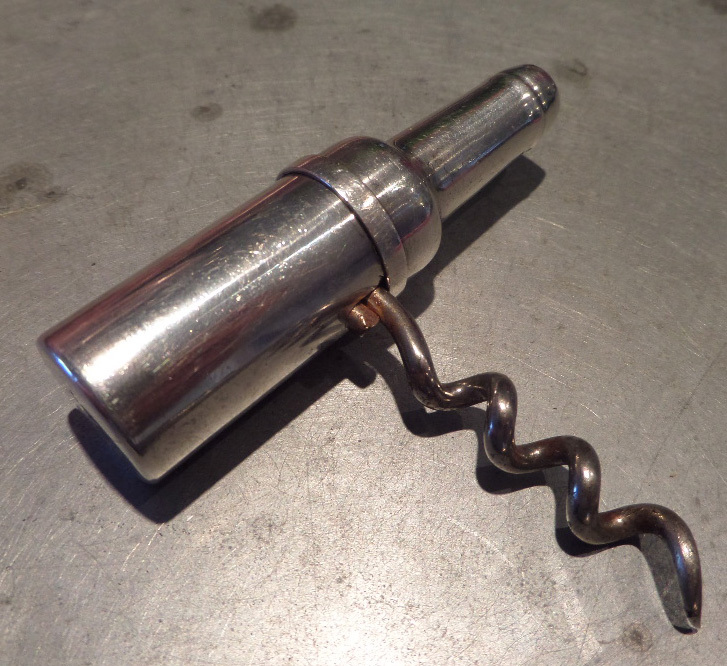 And, if you have an Anton Trunk patent corkscrew, with which you wish to part, feel free to drop me a line. 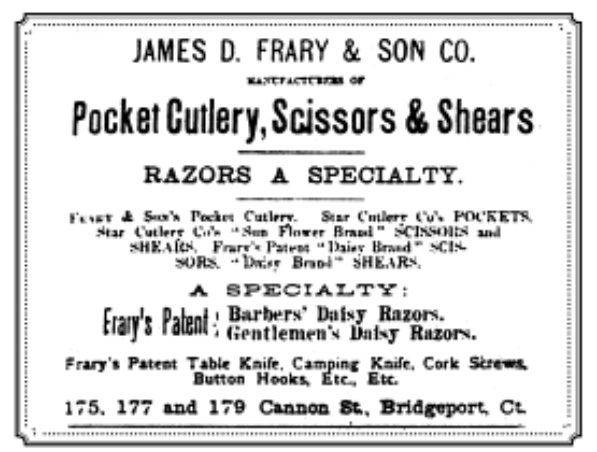 While I am not collecting straight razors, perhaps a Frary should be added to the collection. A couple of years ago, I ran the Maine Marathon. And, at the start, it was cold, windy, and raining (sideways). Still, given the amount of training I had put in, I knew that I would traverse the soggy 26.2 miles. My time, was not my best. Given the conditions however, it wasn’t that bad. This morning, after a few cups of coffee, I decided to go for it again. And, registered for this year’s marathon. 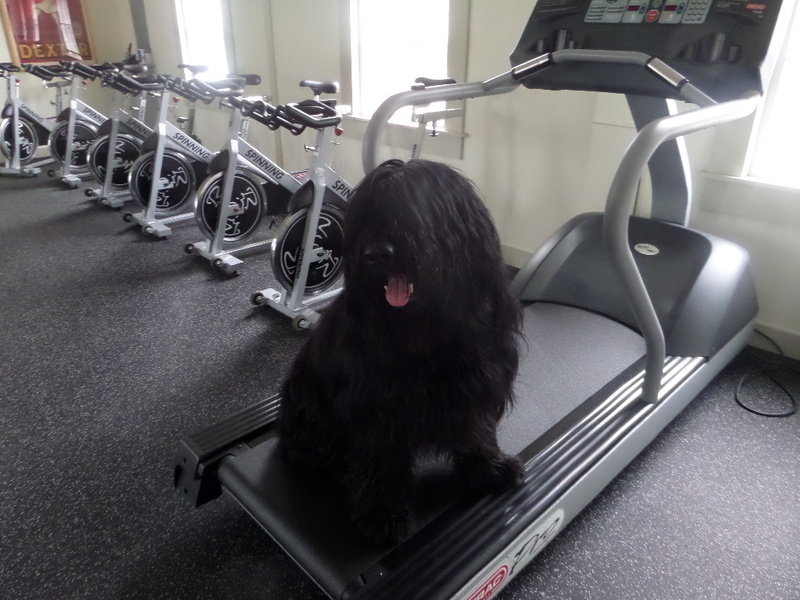 On the Vinalhaven Fitness front, the lovely CEO (Chief Exercise Officer) had class registration yesterday, and was working with personal training clients this morning. The programs/classes that she is offering are building a terrific excitement on the island! She is simply amazing! 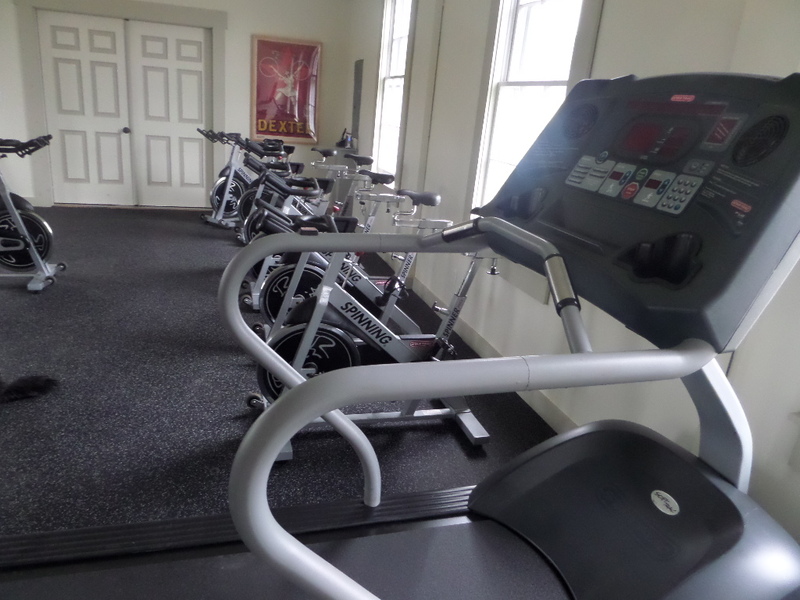 I know I should be blogging about something corkscrew-related here, but our attention as of late, has definitely been on the new fitness studio. These were offered this afternoon via email. Feel free to turn your laptop upside down, and squint! 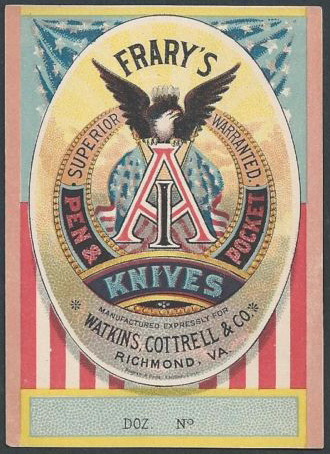 A label for Frary’s A-1 Pen & Pocket Knives, this makes quite the colorful statement. 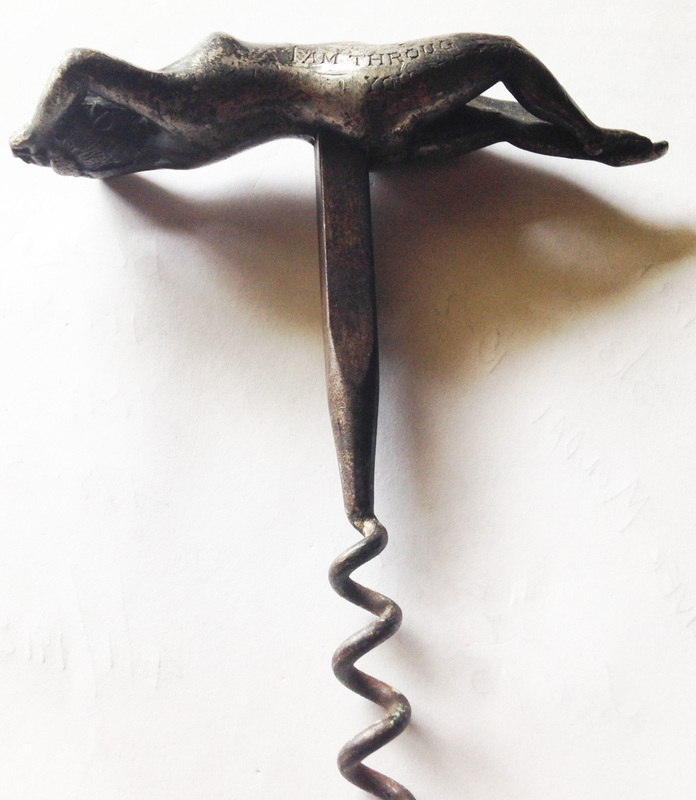 If only we could find a similar one for Frary’s corkscrews!!! 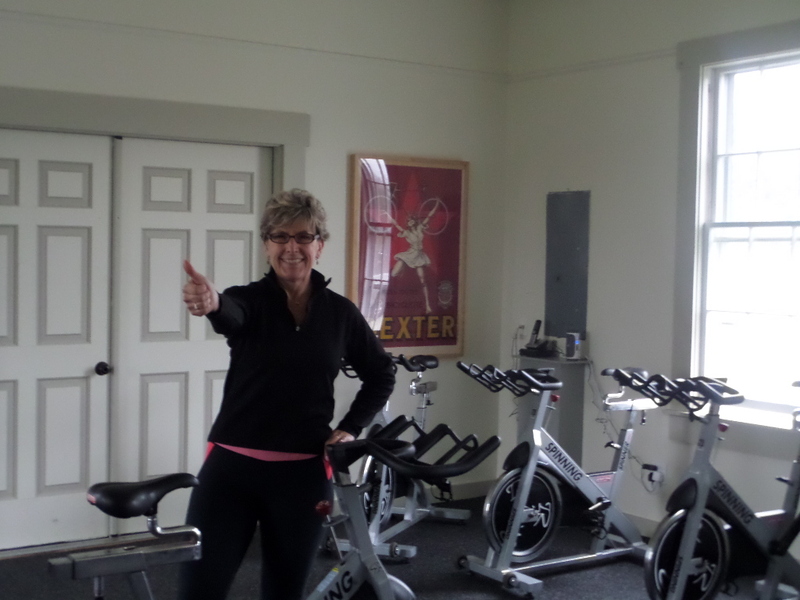 The lovely personal personal trainer and left the island the other day for a birthday trip off the island. Yes, it was my birthday, and the lovely surprised me with an fun adventure. We started, after getting off the boat, with lunch at Saltwater Farm, a nice little spot in Rockport, Maine. From there we headed south, and it was only as we were nearing our final destination that I was told where we were staying; The Wentworth! With a fabulous room, and awesome views, we opened a bottle of wine and just enjoyed each other’s company. As dinnertime would soon be upon us, we discussed whether we would like to keep our reservations at The Black Trumpet–a fabulous restaurant in Portsmouth, or if we would rather stay at the resort, and enjoy food at “Salt.” we opted for the latter, and at the appointed time headed downstairs for some delicious yumminess (and wine of course). The next morning we had a nice run along the coast, followed by a little antiquing. No corkscrews were purchased on the trip back home, but it was a lovely evening and morning with the lovely bride. A great way to celebrate my birthday! 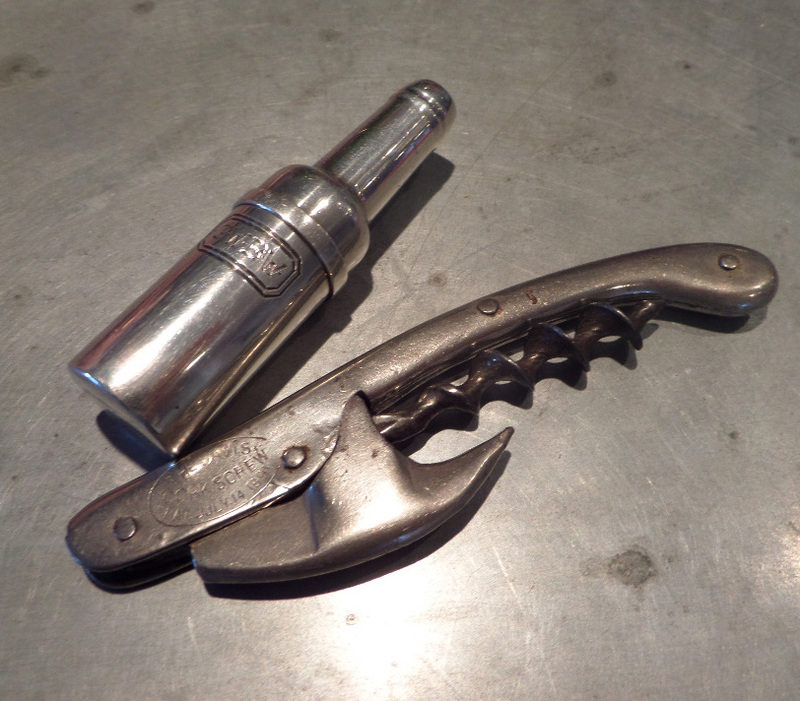 The other day, I happened upon a non-ebay website that had a French “Club” corkscrew for a fair price. 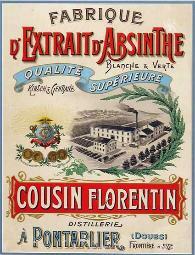 However, instead of having “The Club” and “Made in France.” engraved, it instead has an advertisement for absinthe. And, as I don’t have an absinthe corkscrew, nor to I have a “Club,” I figured, why not? 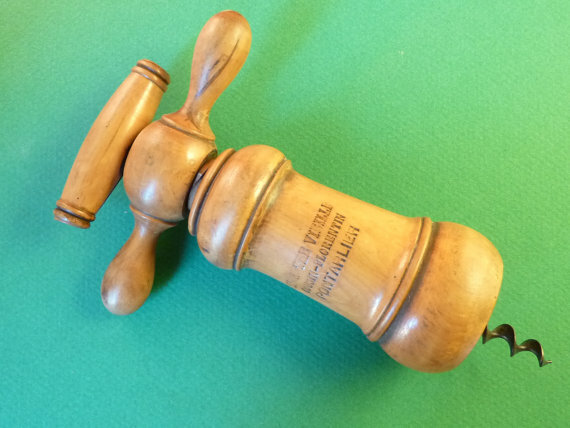 Incised, ABSINTHE VIEILLE COUSIN-FLORENTIN PONTARLIER, it is a pretty cool corkscrew to add to the collection. 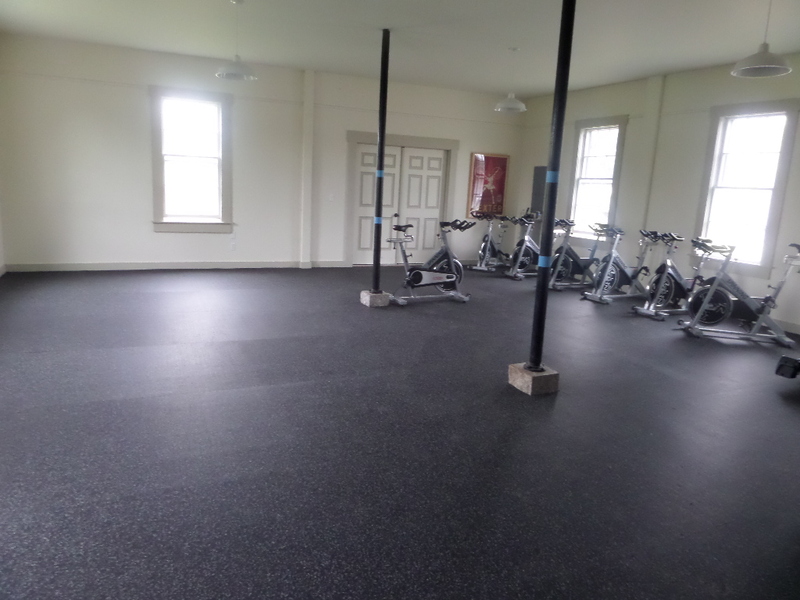 After several weeks of work on the space, the lovely personal personal trainer will soon be opening the doors to Vinalhaven Fitness. Even Philos helped with the final touches! 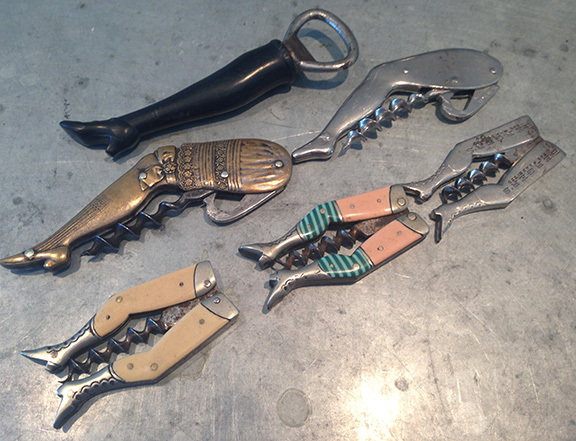 With that construction/design project completed, it is onto the next task–adding a corkscrew to the collection. 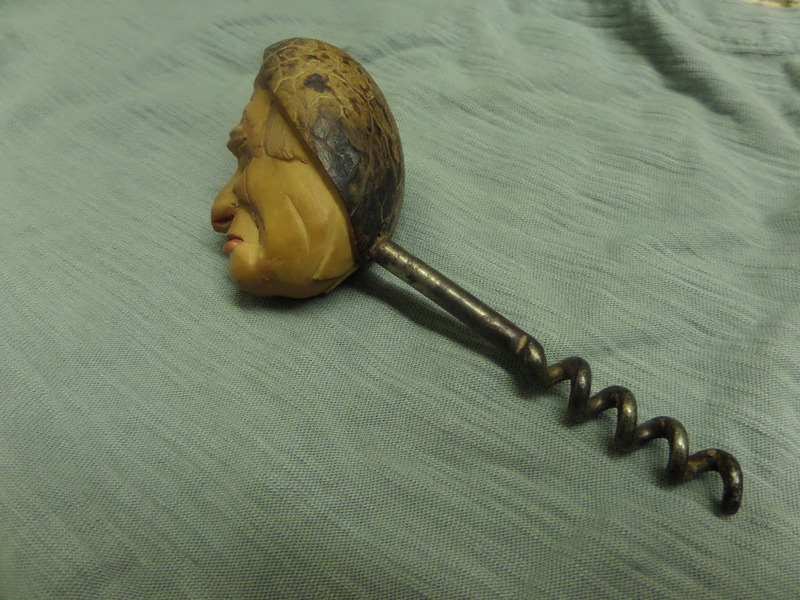 And, yesterday, while working on a myriad of webmaster chores, I hopped onto eBay and saw a carved Indian chief corkscrew for a fair, albeit a little high, buy it now price. I figured, why not. 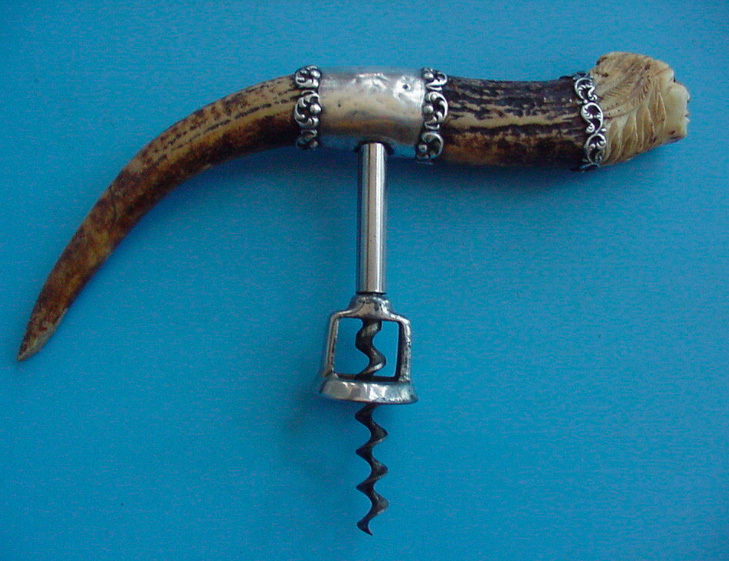 It will make a nice addition to the carved stag corkscrew collection. Given that I have to hit the road on Thursday, the third day of Brimfield is really about two hours long. The first hour is driving there, getting coffee, and standing in line. And, then when May’s field opens at 9:00, there is about an hour of walking around asking if people have corkscrews, and hoping that as you turn a corner there will be one laying out on a dealer’s table. Yesterday morning, there was much walking, much asking, and few corkscrews. 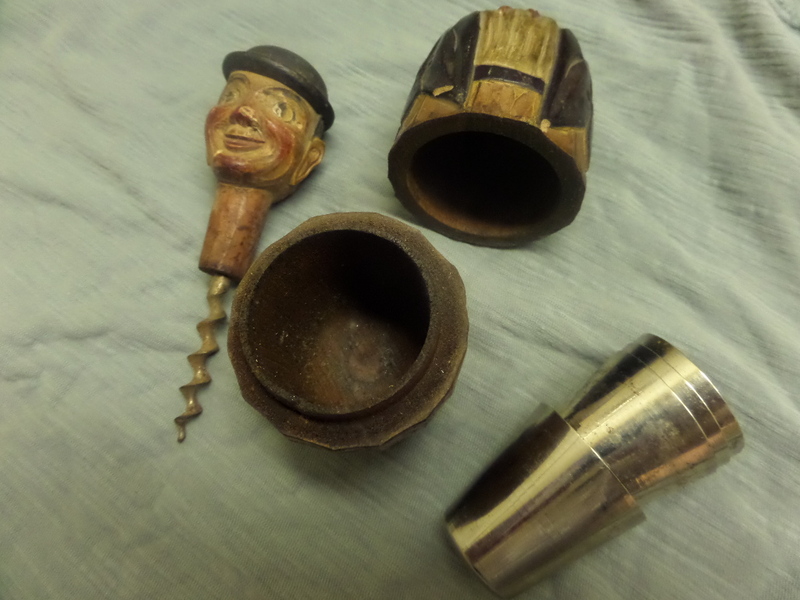 There were three Walker corkscrews, one that the dealer claimed was a whale tooth handle, one stag handled, and one was carved, but it was missing it’s silver end cap and the Walker bell was broken off. For the pseudo-whale and carving $ 400.00! I moved on. At another booth there was a woman that had a Popeye corkscrew, a thomason, a negabaur pig, and one other that I can’t remember at the moment. The popeye was priced at $ 750.00!!! A few Cloughs, Walkers, and Willimasons, and with my departure time approaching (to ensure that I get back to the Ferry–some 230 miles away–I headed towards the gate). But, not before going down one more aisle. At the end of the aisle, I glanced in a booth and saw a Davis. I asked to see it, and while there was no advertising upon it, I figured I would pick it up anyway. Asking the price, the guy explained that he had a sterling corkscrew in another case. I went over to look at that one, and he presented me with a Sterling example of the Williamson bottle roundlet. In nice shape, with an unusual raised band where the two pieces screw together, I asked his price. In our negotiations we realized that we had done business before, and soon enough a deal was made. Two corkscrews with minutes to go. As I was completing the deal, BT was approaching, and we had a brief discussion about the field lacking in corkscrews. He had picked up a Bennit patent, and surely would make another round to see if anything else was pulled out of boxes stashed in cars, vans, and trucks–this is often the case at May’s, and it pays to walk the field multiple times. After saying our goodbyes, I headed off to the x-terra, and began the drive home. All in all, a pretty good few days at Brimfield. Nothing truly rare, and I think the two Syroco Indians are definitely the best find of the trip. Although, in showing all of the twisted treasures to the lovely personal trainer last night, she liked the sterling bottle the best. This morning, we had a little later start (not much later) than yesterday, and after grabbing our requisite cups of coffee, Barry and I were headed towards Brimfield again. Engaged in lively conversation, we missed our exit however, and had to take the long way around (through Sturbridge) to get to our final destination. Still, we managed to pull into the parking area, just as the first field opened, and were on the hunt in short order. After a couple of booths, nothing had turned up, and then in the next, sat a carved corozo nut. With an asking price of 22 dollars, I pulled out a 20, and the deal was done. Not a bad start to the morning. I meandered around a bit, saw a few t-pulls. 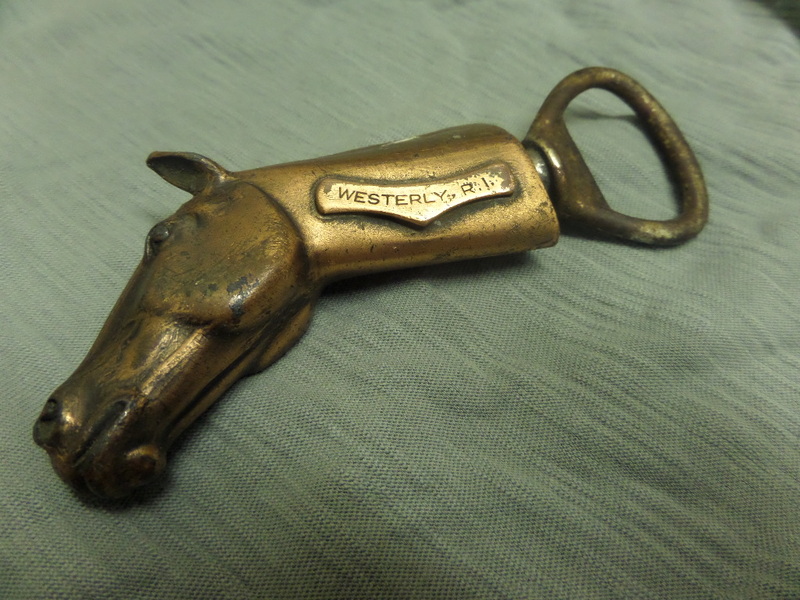 Then I picked up another little horsey head sheath corkscrew. It was priced fairly, and why not add another. But, that was pretty much it for the first field–although, when we caught up, Barry managed to pick up a handsome Humason and Beckley with their CASTSTEEL marking. After yet another cup of coffee, it was about time for the next field to open. And, Barry explained that he would take my usual route, and I opted to head towards the back of the field and work towards the front. In the first booth, nothing. Second booth, a little bullet sheath and a nice hammer corkscrew. Nothing rare, but still nice to find. As I was going booth to booth, someone called over to me. “Hey corkscrew guy!” I turned, and there was a fellow rifling through his backpack to give me something. “I picked this up for you.” And, out he pulled a Converse (missing its sheath). I explained what it was, and that I really didn’t need another, but figured, why not reward him for his efforts, and handed over a 10 dollar bill. Speaking of, there is a Sterling dealer that sells at Brimfield, and we have been doing business for years. And, while there are times that they hold Sterling roundlets for me, in anticipation of my tri-annual question, “do you have any corkscrews this time,” this time they didn’t have any Sterling roundlets. 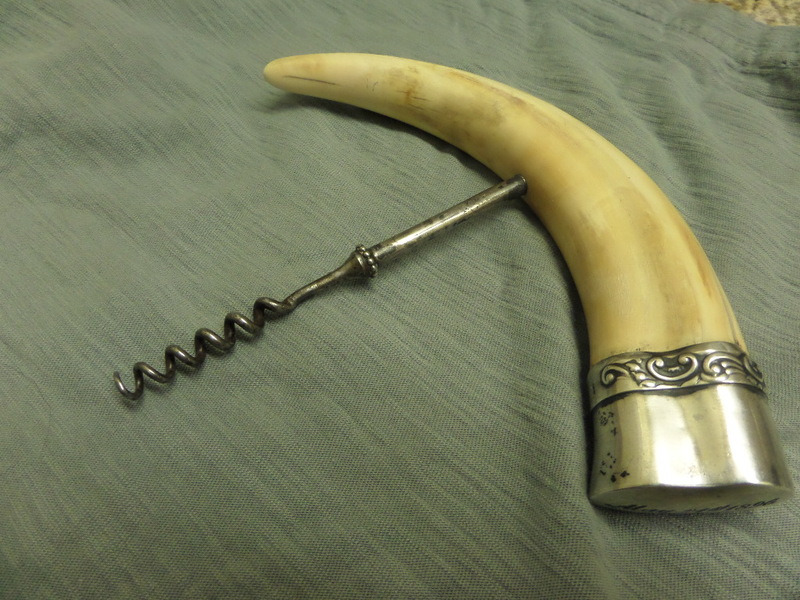 Instead they had a nice tusk with a sterling cuff, and an interesting helix. Mid-way up the helix, is a little decoration. 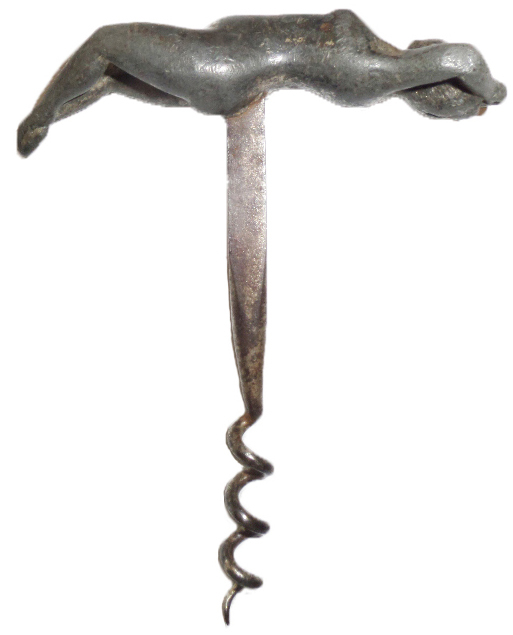 It wouldn’t serve much purpose, but it does add the the character of the corkscrew. 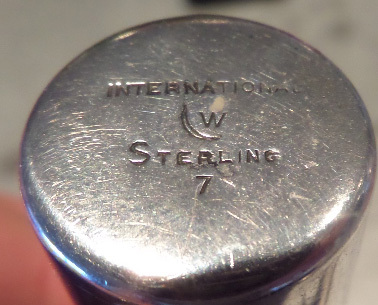 Also, the Sterling cuff is marked May 21st, 1896. With a little convincing, they lowered the price to make it a fair price. Having exhausted that part of the field, I headed the other direction where I ran into a nice little Anri guy with corkscrew head, and a body that separates to reveal some drinking cups. Tucking away my treasures, the hunt continued, but with little available worth buying. After a bit of lunch, Barry and I met up to discuss what had been found thus far. Andre joined us briefly, and soon enough it was time to do the annual Hertan’s dance. 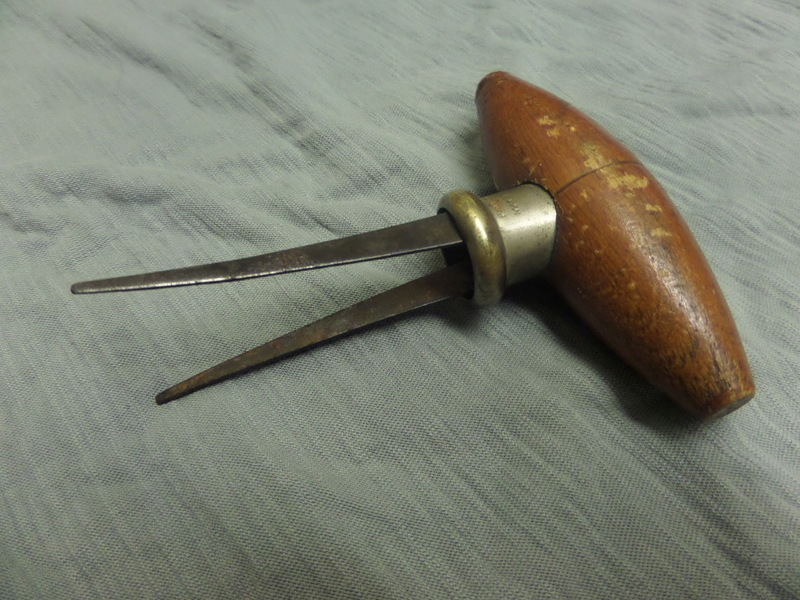 “Do you have any antique corkscrews? This is met with a bewildered look. This generally followed my some pantomimed uncorking gesture. I wonder how successful that fellow was today. That said, over the course of about an hour at Hertan’s, you do get go find out who has what, and hope that you can position yourself for when they ring the bell, that you can get to the appropriate booths that have, or at least say they have your desired item. So, as I was going through this process, I happened up on a booth where I didn’t need to ask the question. 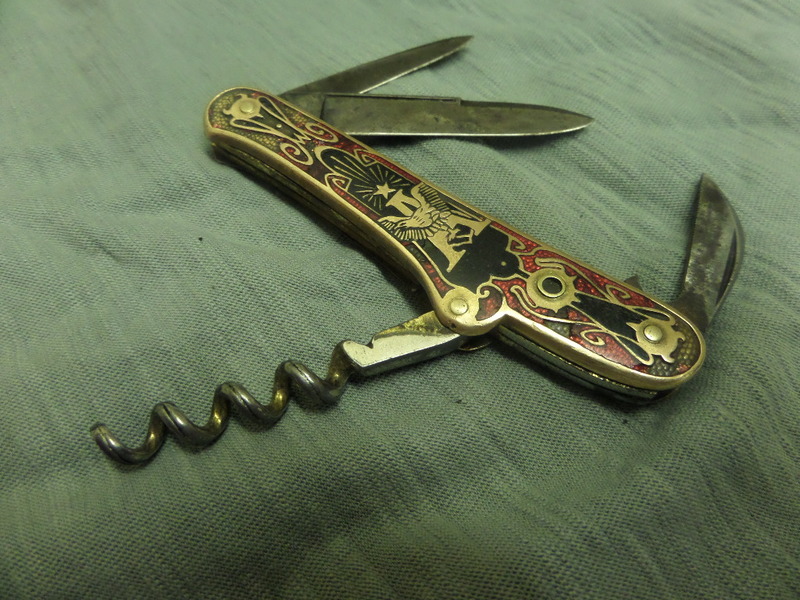 This person simply had the stuff out on the table, and amongst his treasures was an Anheueser-Busch knife with corkscrew. The price was a bit high, and given that I couldn’t buy it until the bell rang, I asked him about it. 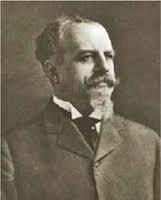 Soon enough, he explained that it still had its stanhope, and that definitely got me interested. With 5 minutes to go, I was about to check out the next couple of booths, when the bell rang early. 11:55 the bell went off. By 11:55:30 a deal was negotiated and completed for the knife. From there I zigzagged from booth to booth finding little. And, having exhausted the field, I headed to the final aisle. Stopping in the last couple of booths, I found an Anri bar set in rather rough shape. 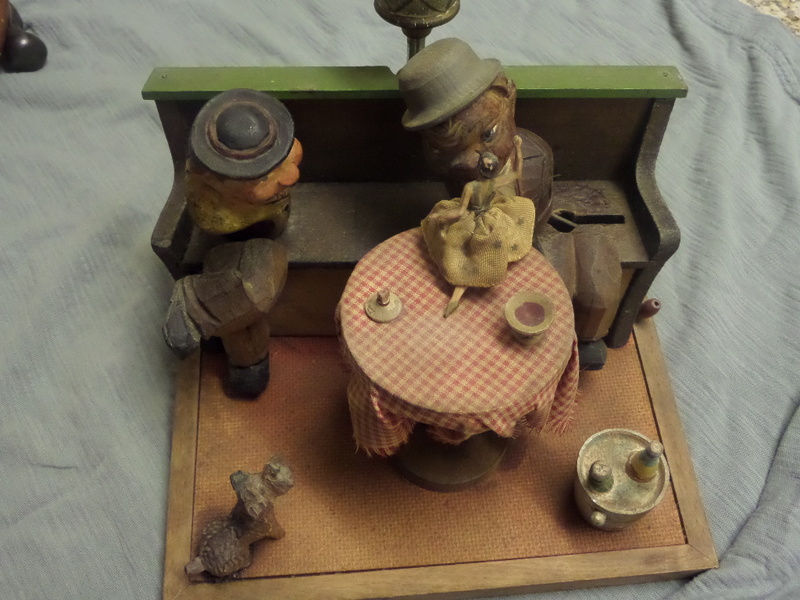 It is one of the versions that has the little ballerina on the table, and I figured perhaps someone could use it for missing parts. At the appointed time, I met up with Barry who was excited about the knife with the Stanhope, and proceeded to show me his finds of the field. Not a bad day two, and this evening we will be heading to The Student Prince for dinner (in the corkscrew room). Tomorrow is Mays’ field, and then the road trip home. If any corkscrews are found tomorrow, I will report back here.